Replacement Buses Available from JR Mihara Station (Shinkansen) to JR Tadanoumi Station (The Nearest Station to Rabbit Island). Ask at the Station for Further Details. Link only in Japanese. OFF THE COAST OF HIROSHIMA, JAPAN. ■Located in eastern Hiroshima, Rabbit Island is a small enclave occupied by hundreds of wild rabbits that roam the forests and fields, chasing tourists for food. Only a 15-minute ferry ride from the mainland, the island is a popular destination for tourists from around the world. Rabbits are usually surrounded by their large families and are known for their high fertility rate. ■Rabbit Island is a 15-minute ferry ride from Tadanômi Port with services leaving roughly every 30 - 45 minutes. The port is a 3-minute walk from Tadanoumi JR Station, which is a 25-minute train ride from Mihara Station on the magnificent coastal JR Kure Line. This ride itself is worth the trip, with stunning views of the Inland Sea and its many islands. ■ All Kodama Shinkansen Super Express coming from both Hiroshima and Osaka stops at Mihara Station. It takes about 20 minutes from Hiroshima and less than 2 hours from Osaka to reach Mihara Station. ■ The Kaguyahime Highway Bus Service is also available directly to Tadanoumi JR Station, which operates from Hiroshima Bus Center via Hiroshima Station. ■ If you plan to stay overnight, advance hotel reservation is advised as accommodation is limited around the area. The hotel on the island is not always available for last-minute visitors, especially during high seasons. ■ Japan Rail Pass accepted up to Tadanoumi JR Station but not for ferry services. 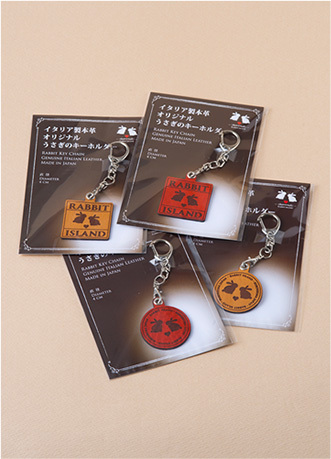 ■ A short-term luggage keeping service is available for your Rabbit Island trip. 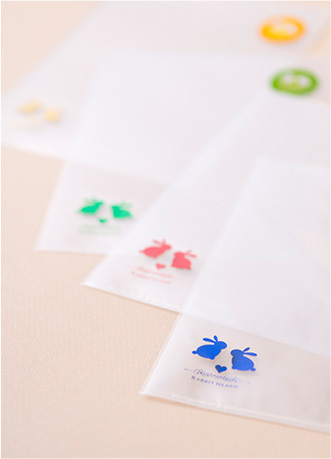 500 yen per bag / day. Open during ferry operating hours, 365 days. a year. ■ Free public Wi-Fi is available at the port. ■ Roads are busy with bicycles; while eating, rabbits are usually too focused and do not notice incoming traffic. ■ Rabbits do not eat dampened pellets or spoiled vegetables. These attract crows which interfere with rabbits. ■ Please quietly watch over the rabbits and DO share your photos online. THE CHANCE TO FULLY EXPLORE THE ISLAND, INCLUDING ITS DARK HISTORY. the two antithesis give the island a more mysterious touch. Being the center of chemical weapons research and production until 1945 under complete secrecy, the island now offers a museum which displays and preserves memory of the cruel aspects of Japan's WWII history. ■With several different walking trails along the coast and into the mountain, you can enjoy hiking along with other outdoor activities all year around. You can of course swim in the sea during summer seasons. a 2-meter rabbit wall clock is installed at the port. The color of the letters change according to the weather, reflecting the colors of the sky. Photos of this clock is popular with travel bloggers and writers. ■ Hint: it relates to the twelve horary signs of time. ■Waiting for the ferry is a bliss with Whipped Ice Cream at ocean view Rabbit Café. We offer takeaway coffee, snacks and lunch boxes. Original rabbit items are available at the port gift shop. English speakers occasionally available upon request. 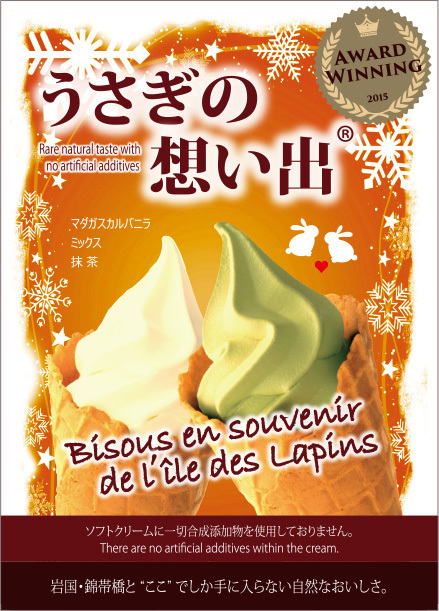 ■ Matcha / Vanilla / Mixed. No artificial additives within the cream. 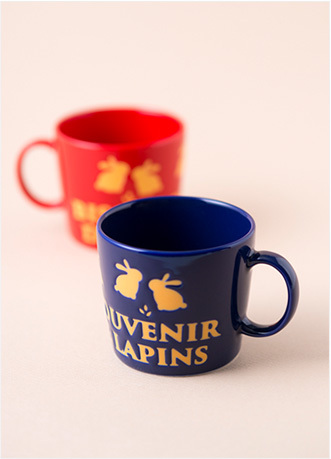 ■ Mugs with a rabbit silhouette,“Memories of Rabbit Island” written in French. Made in Japan. 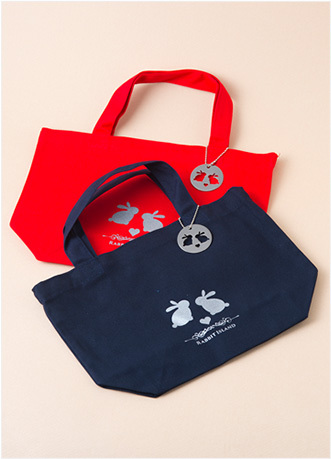 ■ Rabbit tote bags with a stainless-steel medal curved out in rabbit silhouette. 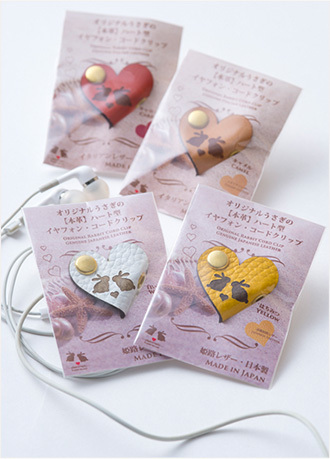 ■ Genuine Italian and Japanese leather. ■ Original set of postage stamps / envelopes / letter papers. A postbox is available at the port. 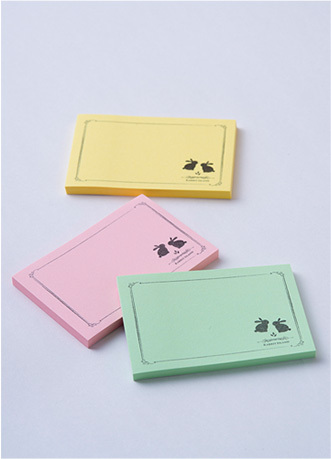 ■ Original sticky notes with a rabbit silhouette. 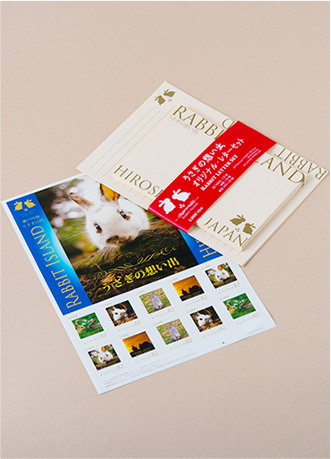 ■ Gold stamped plastic folders with a rabbit silhouette. ■ Genuine Italian and Japanese leather. Made in Japan. Available in four colors. 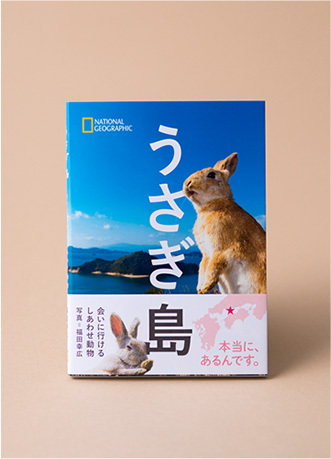 ■ Rabbit photo albums from National Geographic Publishing. Comes with an original rabbit postcard. 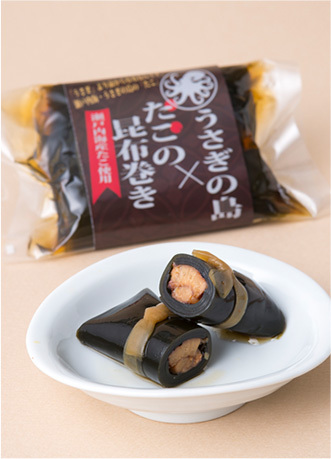 ■ The area around Rabbit Island is known for its octopus. We dare you to try our local seafood delicacy. It goes well with sake. Copyright © 2017 Kunoshima Co. Ltd. All Rights Reserved.